Long time not to do new arrival thread, at the same time, recieve some feedback to say that we have some great new arrival here. 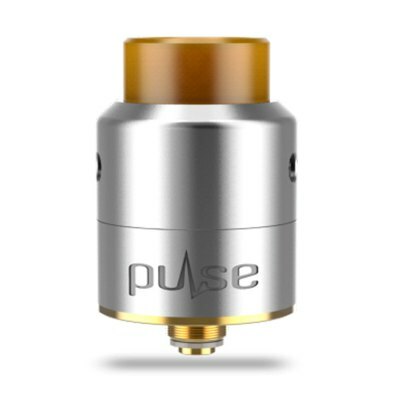 The Vandy Vape Pulse 22 BF RDA has a unique leak-resistant tubular side direct airflow, which is creative and makes vaping smoother. The deck is easy to build with 2 big Philips screws on the side, and it supports single wide gauge building. There is a squonk pin at the bottom of the atomizer, you can fill the e liquid through the pin. So it is a good way to avoid leakage and oil wasting. The Vandy Vape KYLIN RTA Multi Color features in its colorful appearance, there are four colors for your to choose. It has a gold-plated deck with dual or single coil building, which is easy to build. Two adjustable airflow slots can direct air centrally at the coil for excellent flavor. The KYLIN RTA can hold 2ml oil with the pre-installed glass tank, and you can enlarge the capacity by replacing the tank with the extra 6ml glass tank. Predator 228 is powered by dual replaceable 18650 cells whose max output reaches 228W / 50A. The application of plated USB ports contact makes it possible to realize 2A quick charge. And the separate battery power can be detected accurately through the upgradable firmware. Moreover, with the help of RC ( reverse charging ) adapter, Predator 228 can serve as a power bank to charge other electronic devices. 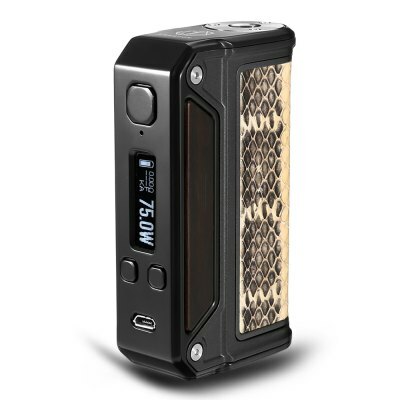 The Therion DNA75 is a device that makes a big step away from our traditional design. 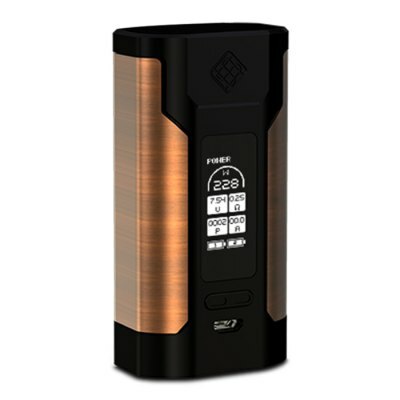 Utilizing the brand new DNA75 board from Evolv, the Therion has a temperature control function, which allows you to regulate your personalized options. It is made from zinc alloy, wood and leather, which is durable, lightweight and elegant. The device supports 2pcs 18650 batteries, with a max power of 75W. There are multiple protections in this device, so it is safer for you to use. 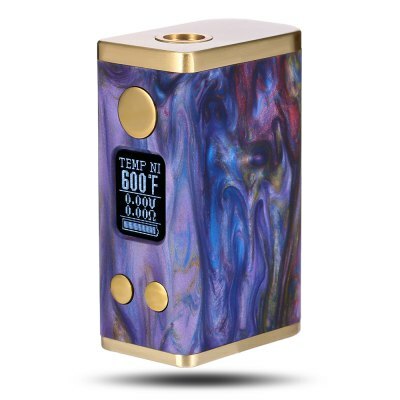 ADVKEN AYANA 60W Mod is made from resin and brass, which is environmentally-friendly and durable. With built-in 1600mAh battery, the device supports a adjustable wattage from 5W to 60W. Just 3 or 5 hours, the AYANA 60W Mod can be fully charged. Besides, temperature control function is also included is this e cigarette with a range from 200 Deg.F to 600 Deg.F, and you can enjoy different vaping experience through adjusting its temperature. There are two kinds of USB ports for your convenience, one is Micro USB and the other is 8 Pin port. In the end, think that you can't miss our New Arrival Flash Sale. Any question, pls feel free to PM us.